School Solutions for Independent Schools Blog Uncategorized Announcing SchoolCommunity! Senior Systems and Community Brands are thrilled to announce the new SchoolCommunity platform connecting our leading solutions for schools. 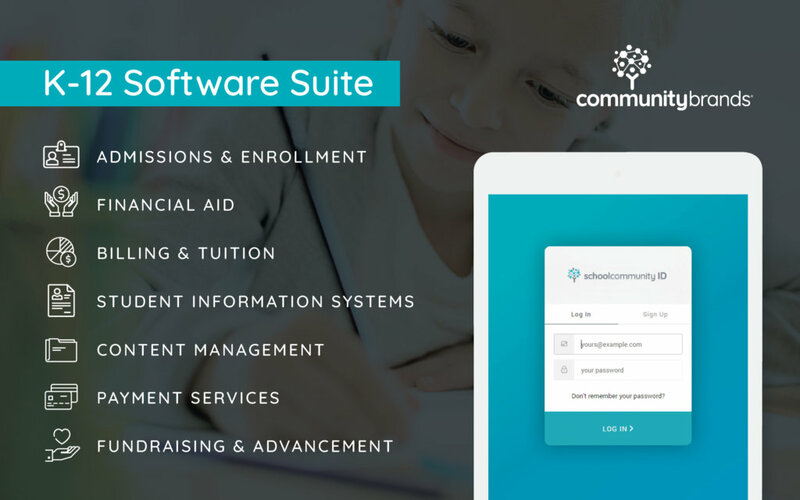 Through single sign-on and two-way data integration, this platform empowers you to choose from a best-in-class portfolio of solutions while creating a more rewarding experience for your community of students, parents, and administrators. SchoolCommunity also helps schools immediately improve user experience by reducing multiple logins across systems. With a “wallet” style universal ID, families and administrators use one SchoolCommunity ID – the same username and password – to access solutions across our K-12 software suite; gone are the days of remembering multiple passwords! Instead, as you add solutions within the suite, SchoolCommunity makes this possible without the adoption, implementation, or support challenges that sometimes accompany multi-system use.